She is one of the most successful food writers of all time, having sold more than ten million cookbooks worldwide, teaching us How To Eat and How To Be A Domestic Goddess. Now it's time to meet the woman behind the cookbooks. Direct from London's West End, An Evening with NIGELLA LAWSON is Nigella's brand-new show, where she tells her own remarkable culinary story, live on stage. NIGELLA LAWSON will visit all major capital cities and tickets go on sale Monday 29th October 2018. "I'm very excited that Australia and New Zealand will be the first countries outside of the UK to see this show," Nigella said. "I love the food and the people, and so I am delighted to be touring the country, meeting audiences and sharing our culinary stories." Nigella is one of the most talked-about celebrities in the world, but now she's doing the talking. An Evening with NIGELLA LAWSON is interactive and intimate, inviting culinary questions from the audience, with Nigella sharing her thoughts, food stories and insights into the role food plays in life, plus what she is eating and cooking now. Entertaining and eminently articulate, Nigella is one of the world's most intriguing stars: mother, former book reviewer (she became the deputy literary editor of The Sunday Times at the age of 26), TV host, award-winning author (her most recent best-seller, At My Table, is her 11th cookbook) and a compulsive collector of cookbooks. 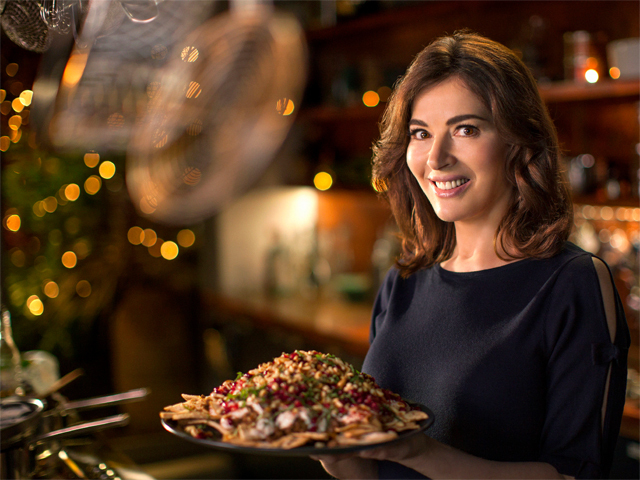 For Nigella, food is a celebration of life – and Australian audiences have shared her passion for food and cooking via her top rating television shows Nigella: At My Table and Simply Nigella, as well as her regular appearances on MasterChef Australia.